The restoration of a beautifully reclaimed Dutch–English house. Victoria apparently has an ancestral affinity for old houses. 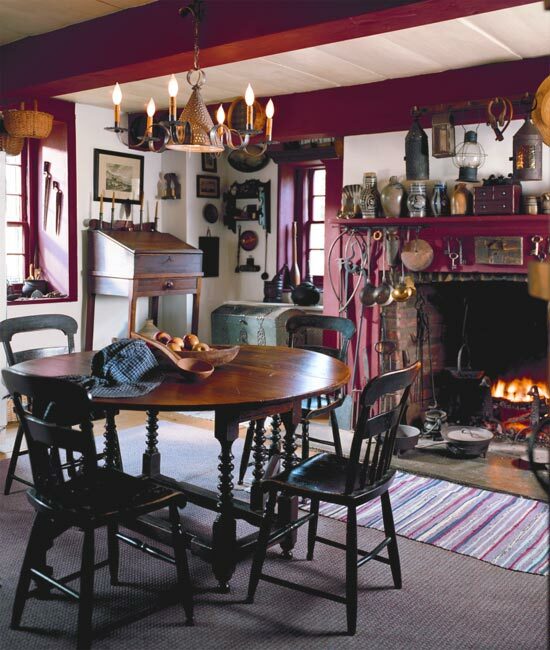 “My grandmother loved old houses and collected antiques,” she explains, adding that her parents, too, appreciated the rich and varied historic architecture of the Upper Hudson River Valley, where Victoria grew up. When she investigated the stone house in rural High Falls, she saw that its essential structure was intact, thanks to the longevity of stone. 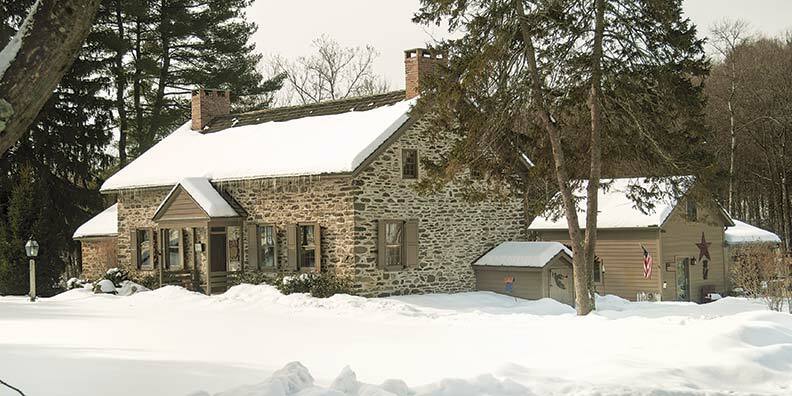 Likely built between 1776 and 1782, the house was said to have been built by a member of the prominent Van Wagenen family. In 1682 a house had stood on the site; possibly, it belonged to the same family, who decided to replace the old homestead with something more modern 100 years later. 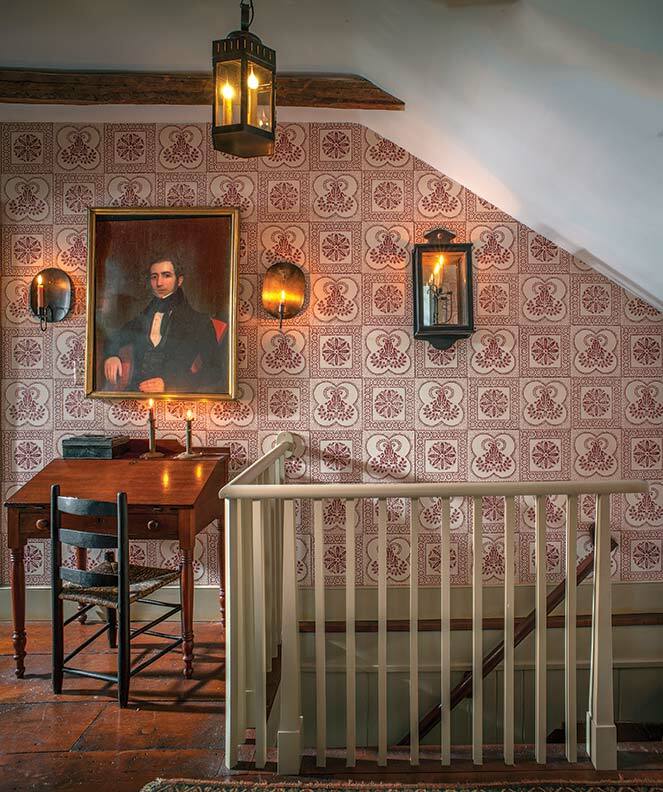 By the time Victoria came along, the 18th-century home had suffered from more recent alterations, including a division of the master bedroom into three small rooms. Victoria contacted restoration expert Charles Glasner, who has worked with her ever since as she purchased and restored other historic houses in the area. (Among these is the 1795 Luke Kiersted House, the oldest frame house in Kingston.) 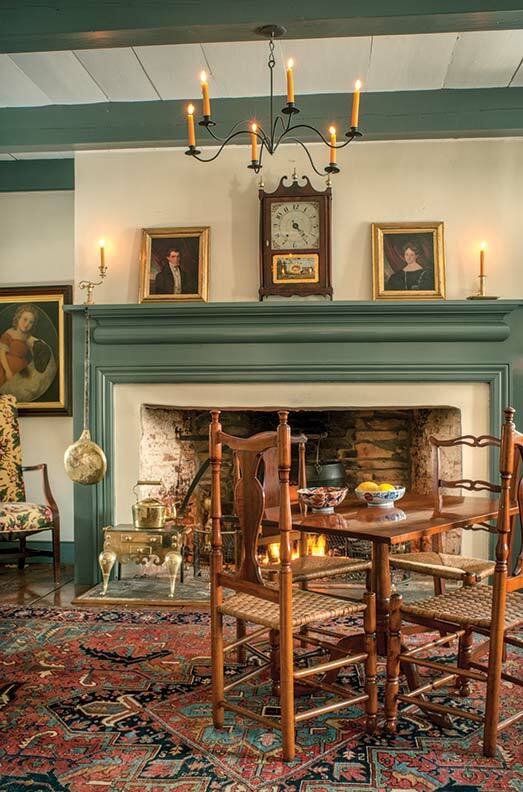 After Victoria purchased the Van Wagenen Homestead, she and Charles launched into a restoration project that introduced new systems and bathrooms while bringing the original layout back to the 18th-century rooms. The two do not entirely agree on the nomenclature of the house. Victoria calls it a Dutch Colonial house, but Glasner thinks its style vocabulary is more English than Dutch. 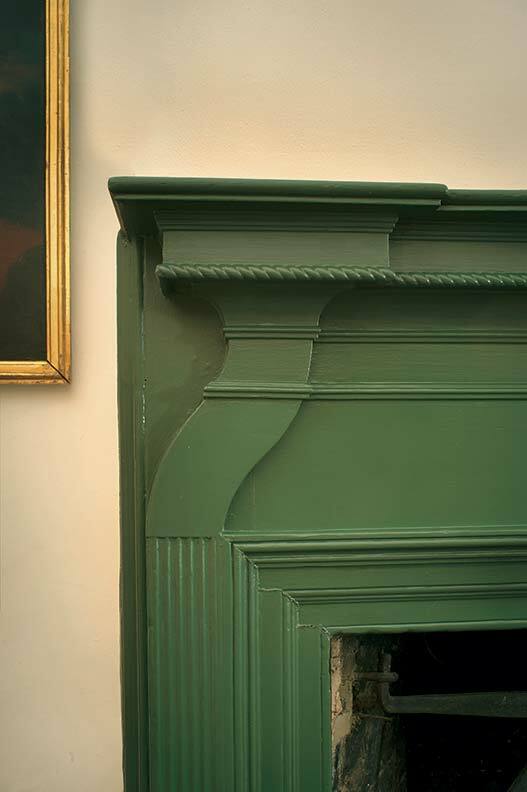 Victoria and Charles agree that the dining-room mantel is Georgian, an English style dating to the colonial period. Yet the house has many characteristics of the Dutch architecture that stretched along the waterways of New York and New Jersey during the 17th and 18th centuries. These include its native stone construction, shutters with recessed panels and H and L hinges, and the two massive gable-end chimneys. The house has a symmetrical layout around a central entry and hall. To the right is the living room, once called the keeping room, with its enormous hearth, and the more finished dining room is to the left. Upstairs, there are two bedrooms. 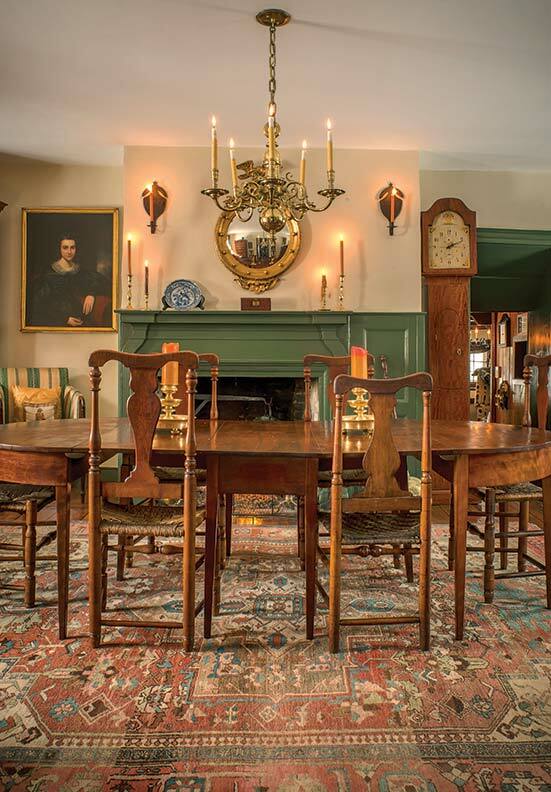 Victoria Gilligan, a lifelong antiques collector, furnished the interior in a style she calls High Country. 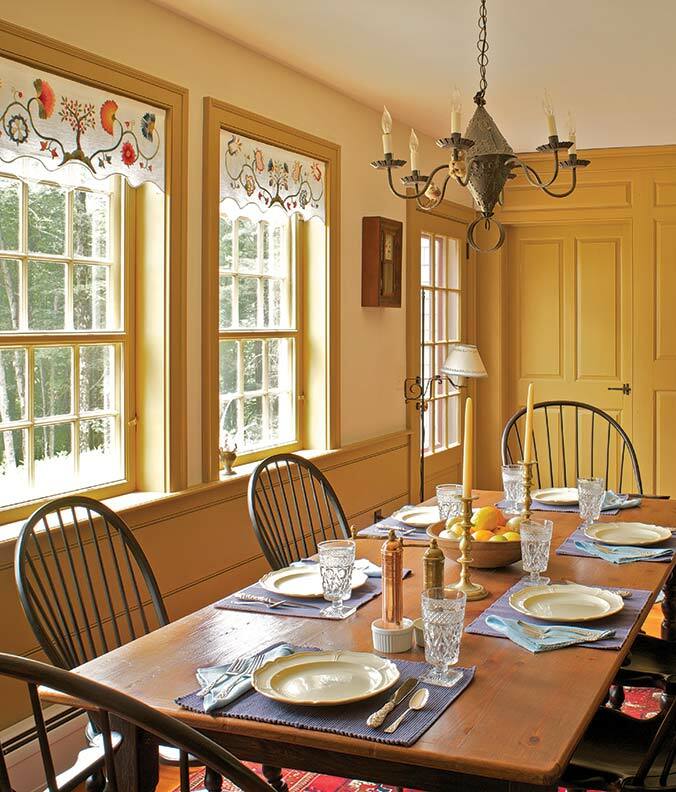 “It’s not really formal, but, unlike many early American-style interiors, neither is it primitive or too stark,” she explains. 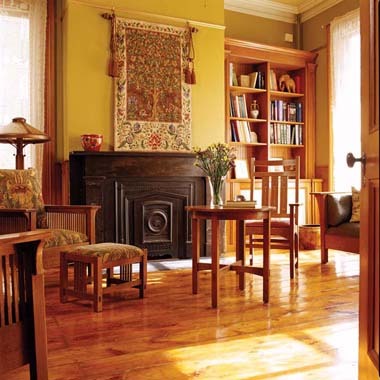 “While it is a period home, this one is comfortable and inviting.